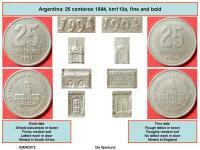 In the field the Cabildo building. 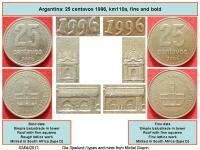 perimetral legend "REPUBLICA ARGENTINA" at the top with point at the beginning and end. 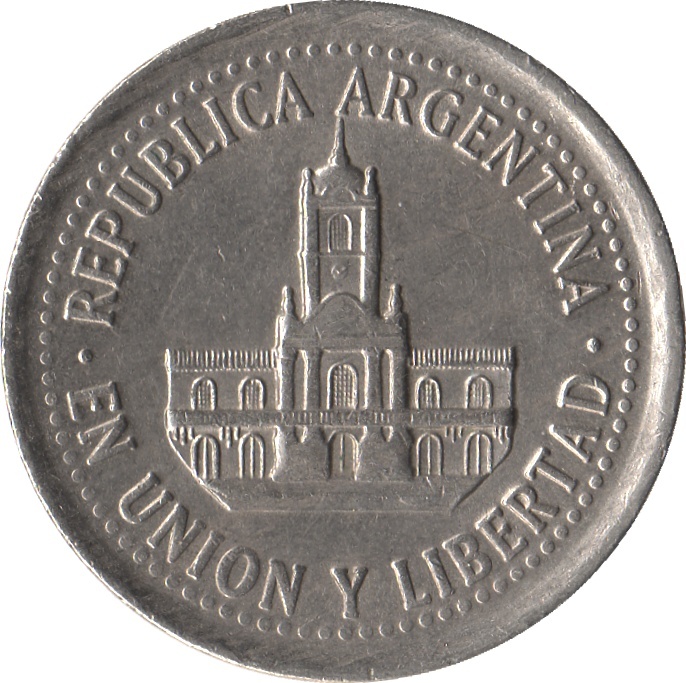 "EN UNION Y LIBERTAD" at the bottom of a milled edge points. 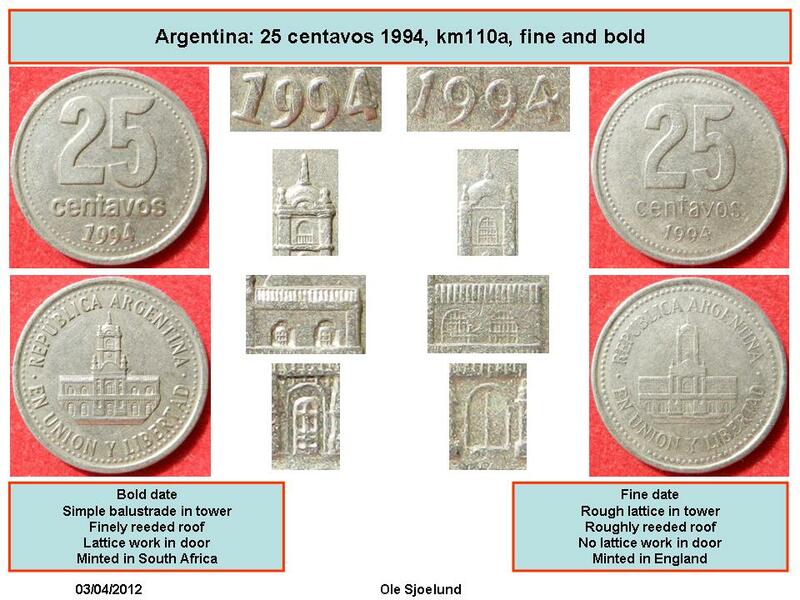 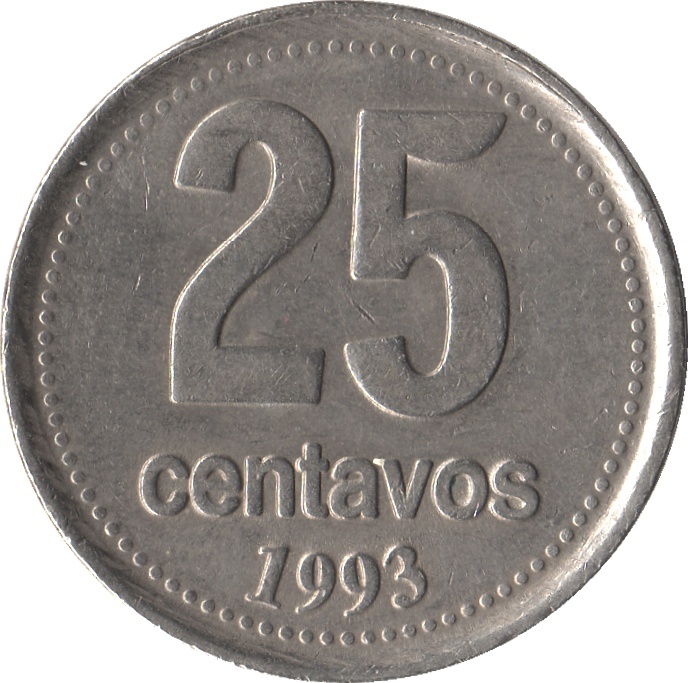 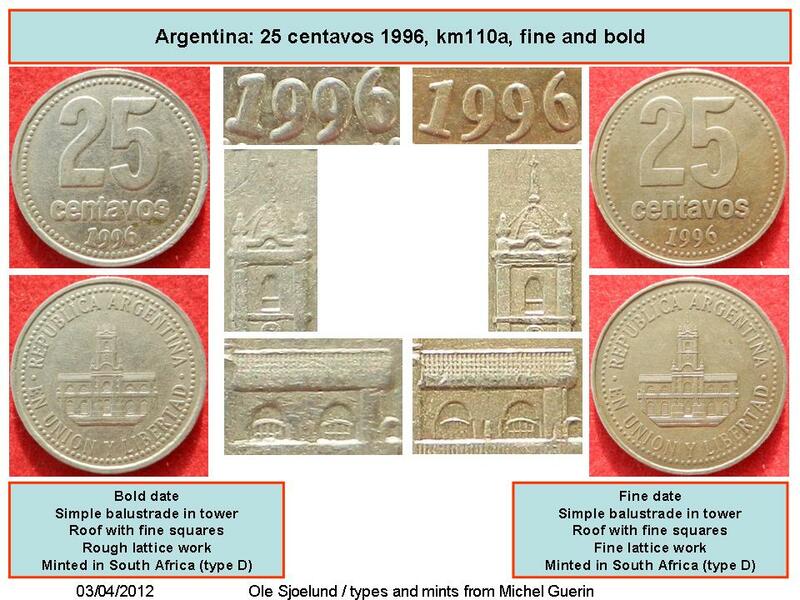 In the field number 25, the word "centavos" below and at the bottom the date. 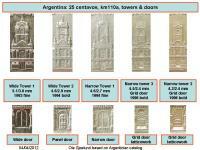 Perimeter points or granas. 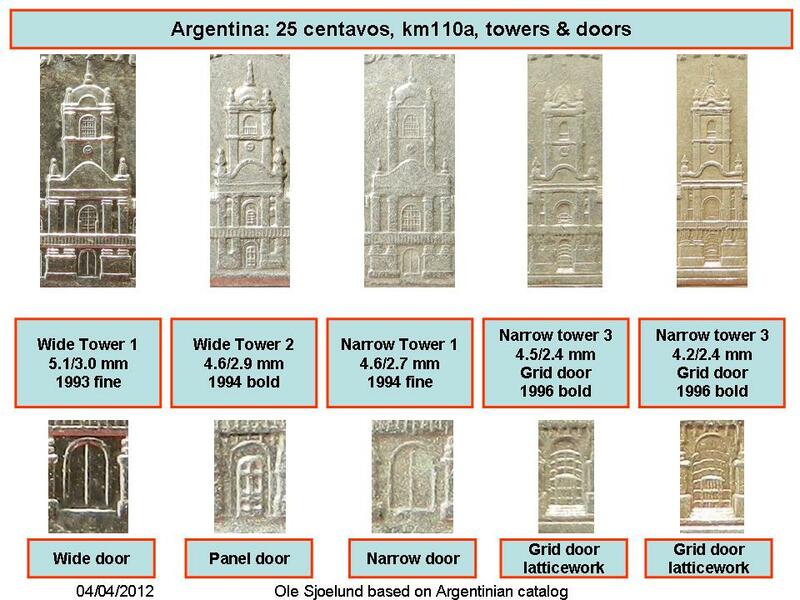 Several varieties exist with differences on the building.